Expectations, damn you! A shame about the XLB at Din Tai Fung but a find in Kao Chi. And yes, the chicken soup at DTF is so amazing! 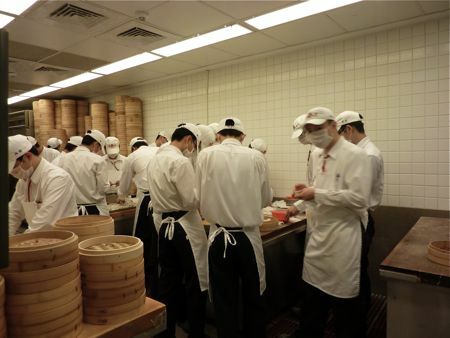 BTW, the shu mai at Din Tai Fung are the Shanghai-style ones, which differ from the Cantonese-style ones more commonly seen on dim sum steamers around the world. Aahh…..I made my food trip pilgrimage in April and have yet to get around to posting it up. Your post is a reminder to me! I agree it wasn’t soupy but was still delicious and better than what one can get here in London. If you have time you MUST go to Da Shan Wu Jia! It will be a culinary experience. A degustation menu that won’t break the bank. No. 62 Sec. 3, Beiyi Road, Xindian City, Taipei County. 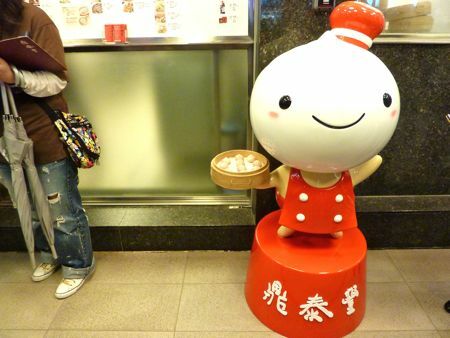 I’m travelling to Taipei next month and don’t want to miss out in trying this restaurant. Did you phone/email them to make a reservation? I was hoping to find an email address so I can contact them before I leave to make a reservation? Thanks for the link on my DTF article on Suite101! Sorry your XLB and DTF experience was not the best. After eating at all the locations in Taipei regularly, I have to say I find the ones at the newer location in Tianmu the best. It’s the least crowded DTF and the most soupy XLBs. We usually get in with a 10 minute wait on average. I don’t brave the Yong Kang lines unless we have friends in town visiting. I know the other Da’an location accepts reservations if you call far enough ahead – we’ve done that on several occasions with larger groups. The shao mai are Shanghai style and designed to be like the XLB so it surprises many people as they always think Cantonese style dim sum ones. 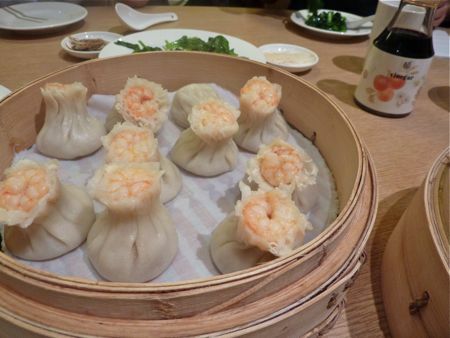 For a different taste, the shrimp and pork dumplings are good along with the spicy shrimp wontons. 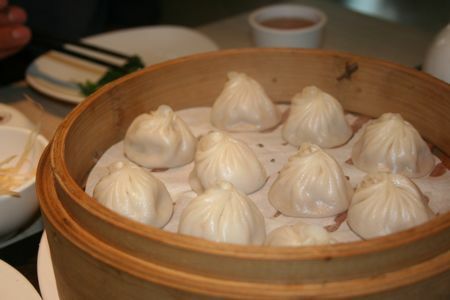 Right now, some of the DTF locations have black truffle XLB, which are pricey, but definitely tasty! Not sure if you know that Kao Chi is also literally around the corner from the original DTF? I am guessing you went to the other one by SOGO, which is nice, but has a slightly different menu. Did you try their signature pork buns?? Those are the best. 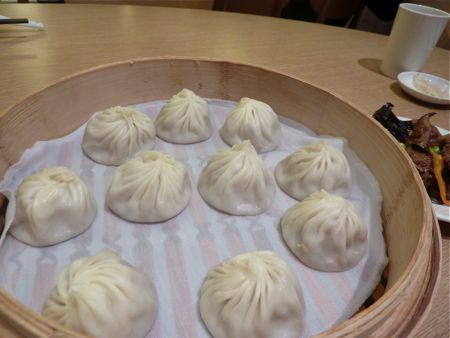 We have found on multiple locations their XLB are dried out so interesting you liked them better. When I have people in town, we usually do a Yong Kang food day by sampling the pork buns and a few things at Kao Chi and walking a couple doors down to try the legendary danzai noodles from Tainan, and then head down to Yong Kang 15 for shaved mango ice (used to be Ice monster which usually had a place right next to DTF in any guidebook). Not sure what else you got to try on your trip here, but hopefully some of the high end restaurants too. We have some incredible gems with up & coming chefs that have a good chance of earning some Michelin stars if we ever get a guide here! And if you come back, check out Yingge which is a city closer to the airport. It’s an area known for its ceramics and you can find the best deals on rice bowls, tea sets, and such. We do all our shopping for plates and such down there. You can find cheap $1 US deals to one-of-a-kind hand painted $200 US tea sets. There is a museum, a pretty cool arts cafe, and food vendors on the weekends.